Hello Dealsnloot Readers,Droom Car Perfume Flash Sale registration has been started.Get Car Perfume from Droom at just Rs-5 Only. Droom Car Perfume sale on 14 November. Fill the registration form and grab the deal. 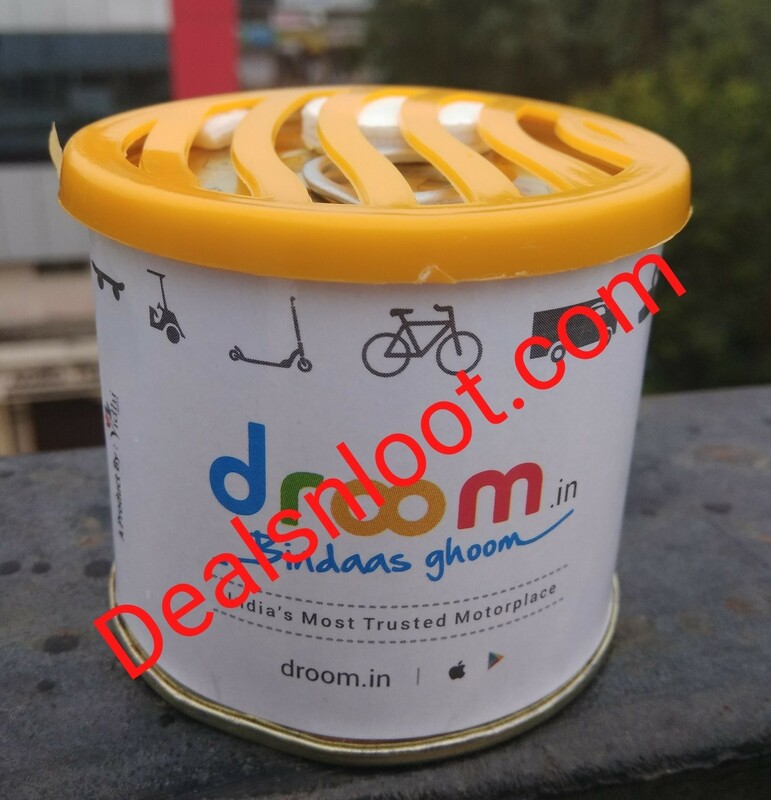 Droom is one of the trusted and valuable website who provides Car and Bike accessories at cheap price in a flash sale.So register now & be ready for car perfume sale. Droom flash sale live at 11 am on 14th Nov 2017. 9. Enjoy The Rs.11 Car Perfume From Droom . Tip : Car Perfume Sale at Re 11 will run for at least 1-2 hours so if you face problems then retry after some time. Limited Period. Limited Quantity Offer. The sale will be Live on 14th November 2017 at 11 AM Onward.